Our CLEANER XT™ Rotational Thrombectomy System and Option™ ELITE Retrievable Vena Cava Filter combination efficiently and effectively treats deep vein thrombosis through a single access site. Proven performance and clinical excellence are associated with Argon's BioPinceTM Full Core Biopsy Instrument, which delivers outstanding utility and results in a single, ergonomic package. The CLEANER XT™ and CLEANER 15™ Rotational Thrombectomy Systems provide powerful, wall-to-wall clot maceration that’s safe and effective for use in AV fistulae and grafts. 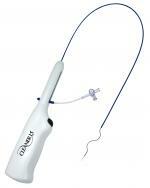 The Jawz™ Endomyocardial Biopsy Forceps are precisely designed to provide a cleanly cut specimen each and every time. At Argon Medical, we take pride in our mission to improve the lives of patients and caregivers through the innovation, manufacturing and delivery of best-in-class medical devices and superior service. This commitment inspires each and every employee to take ownership of their role and demonstrates how we, as a company, take pride in the work we do. 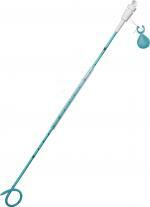 Click one of the links below to view Argon Medical’s products by department. Click one of the links below to view Argon Medical’s products in each category. Click the button below to view all of Argon Medical’s products in alphabetical order. You can also choose to filter by category or department, and search by name or catalog number. Sometimes it’s the small things that make a big difference, and Argon Medical is a company where the leaders really make an extra effort to show the employees that they are valued and that their work is appreciated. PLANO, TX — Argon Medical Devices, Inc. (Argon), a leading global manufacturer and marketer of specialty medical devices used in interventional procedures, announced today that it has formalized a Medical Advisory Board comprised of distinguished physicians from institutions across the United States who specialize in interventional medicine. The Medical Advisory Board will continue to provide scientific and clinical expertise to guide the organization in planning and implementing product development initiatives and marketing programs with the goal of improving the lives of patients and their caregivers. Argon Medical Devices, Inc., Sells Critical Care Platform to Merit Medical Systems, Inc.
Argon Medical Devices, Inc. announced the completed acquisition of three vascular products from Rex Medical, LLC. The OptionELITE™ Retrievable Vena Cava Filter, CLEANER™ Rotational Thrombectomy System, and UltraStream™ Chronic Hemodialysis Catheter are now wholly owned by Argon Medical Devices, Inc. Prior to this transaction, the products were licensed and distributed by Argon through an exclusive agreement with Rex Medical. All three best-in-class product families have displayed significant growth under Argon’s leadership. The addition of these safe and proven technologies to Argon Medical’s portfolio firmly establishes the company’s position as a market leader in the treatment of venous disease. Argon Medical Devices, Inc. announced today that the company has received clearance from the US Food and Drug Administration to begin marketing the CLEANER XT™ and CLEANER 15™ Rotational Thrombectomy Systems for mechanical declotting and controlled and selective infusion of physician-specified fluids, including thrombolytics, in the peripheral vasculature.